Are Real Estate Designations and Certifications Important? I disagree with some of the comments on the post from other agents, as do many consumers. Real estate agents regularly try to tell me why professional designations are a waste of time and money. I feel that is a weak excuse for not investing in their profession. I honestly can't remember the last time I had a good agent on the other side of me, who had no professional designations. Designations do not guaranty a good agent, but it is a symptom of a pattern of professional behavior. It tells the consumer you are doing this professionally and not selling an occasional home in between cutting hair or flipping burgers. It also lets them know what types of training you have had. When I send a referral to a real estate agent in another state or county, I first look for a CRS Designation and then see what other designations they have. Next I Google them to see what type of Internet presence they have. If they can't market themselves they are not qualified to market my client's property. I can give many examples of clients who knew more about me than I did at our first meeting. In today's world of information, anyone claiming the public does not know or care what professional designations or certifications they have; is fooling themselves. The only people agreeing with them are the other part-time agents hanging out at the water cooler, trying to figure out why no one is hiring them; while trying to get more hours at their other job. In most cases, Real Estate agents will be handling the most expensive thing in your life. Take a little extra time and check them out before hiring them. Carefully interview and insure they are a good fit. If they have designations after their name, Google them to ensure they are from the National Association of Realtors® and not something they got from their company, other career or hobby. In today's world of technology it is easier to weed out the pretenders. If you are relocating to another state we can pre-screen potential agents for you. It is free to you the consumer. The agent we eventually send you to, pays us a referral fee for matching you up. 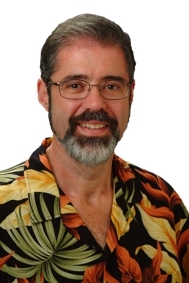 Aloha Randy Prothero! Good to see you back in the 'Rain! I also noticed that the gremlins have been at it again - I am no longer following you - and you are no longer following me! Fixing things at my end now! Hope to read more from you in the near future! And make sure they have good references as to the work they do. Randy I agree - I look for agents with credentials in particular CRS. I am a true believer in continuted education throughout ones career. I've got a lot of initials that I could use behind my name but I don't use them all as that is overkill.